In order to maintain our goal of transparency, we would like to share with you an important corporate announcement from MyBucks S.A. (“MyBucks”), the parent company of GetBucks, MBC, GetSure, Fair Go Finance, NFB and Opportunity Bank. 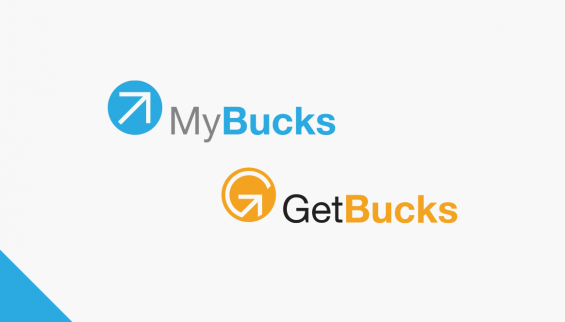 MyBucks, which owns and operates GetBucks, a loan originator on the Mintos marketplace which offers investment opportunities in five countries, has initiated organisational and shareholder changes (the “Transaction”). As part of the Transaction, Ecsponent Limited, a South-African JSE-listed African financial services group, has increased its investment in order to become the controlling shareholder of MyBucks. This was in response to the weaker capital position of the group which was mainly affected by high operating expenses coming from recent acquisitions and high funding costs. The Transaction involves the conversion of certain debt facilities to equity as well as the contribution of other financial assets as consideration for equity in MyBucks, the result of which will be an increase in equity of around EUR 45 million. MyBucks will furthermore offer existing shareholders the right to subscribe to further shares at a later stage at a ratio of 5 new shares for every 1 share held today. These measures will result in a de-leveraged MyBucks balance sheet, with lower funding costs – better positioning MyBucks to achieve profitability in 2020. You can read the full statement from MyBucks here. The recent MyBucks share price decline reflects the dilutive nature of the debt conversion on existing equity holders and is considered to be a “normal” reaction by equity investors to the Transaction. However, it should be noted that even though the share price has declined, the total equity in the business will significantly increase as a result of the Transaction. Mr Timothy Nuy has been re-appointed as Chief Executive Officer (CEO) of MyBucks, and Mr Christopher Hall has been appointed as Chairman of the board. What does this mean for Mintos investors? Overall these changes do not have an impact on Mintos investors, as the changes at MyBucks will not have an impact on its subsidiaries. GetBucks continues to transfer borrower payments to Mintos investors and placing loans on the marketplace as per usual. Furthermore, our Risk Team has re-evaluated the Mintos Rating for GetBucks to give Mintos investors the needed transparency regarding this situation. By taking into consideration information about the change of management, financial results and the effect of the proposed change in capital structure along with other factors, the team found that its rating should be maintained as a level “B”. As outlined in the company’s half-year results for the six-month period ended December 31 2018, the company achieved a loan portfolio growth of 30% from June 2018. During this period the company also reported revenue growth of 23.7% year-on-year and a stable non-performing loan level. However, the company reported EUR 2.1 million pre-tax loss for the period. To see the full financial results, follow this link.